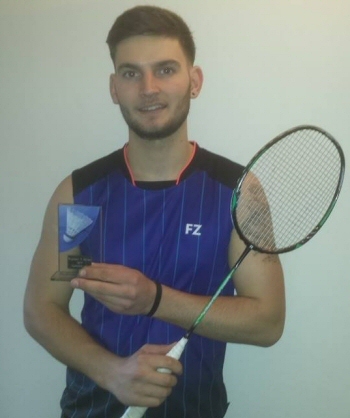 Well done FastStep Elite player Jack Thomson who reached the final of the men’s doubles at the Brighton 3 Series tournament this weekend. Jack and partner Dave Askey won a tough semi against Chris Jones and James Clark to set up a final against Jonty Russ and Daryl Todd. In a close final Jack and Dave were just edged into runners up spot 21-19. A belated well done to another Elite player, Vitu, who won the U16 boys singles at the Mid Sussex Tournament last weekend.